Yes, you likely have Forest Gump’s voice running through your head from that title. Remember when he said that he and Jenny were like “Peas and Carrots”? Sigh. I always cry in that movie. 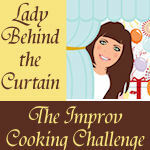 I was thrilled to be asked to take part in the first “Improv Cooking Challenge” with Sheryl at her amazing blog; ladybehindthecurtain, her fab idea was to give a set of ingredients to be used each month to inspire but make them realistic enough that everyone would be happy to use them. Sort of like “Chopped” but without the crazy ingredient that noone should ever be made to eat. I mean who really wants pop and scallops? Tis the season to love apples and an apple’s best friend is caramel. I’ve tried a number of different apple and caramel breads/cakes but they were either so complex that they were a horror to make or they just didn’t have the lucious tang that I was looking for. So…I worked with an olive oil cake recipe that I originally got from Jamie Oliver and adapted it to fit my lazy baking habits. If you have nut allergies then simply leave out the nuts. Like almonds, pecans or hazelnuts better? Put them in instead. 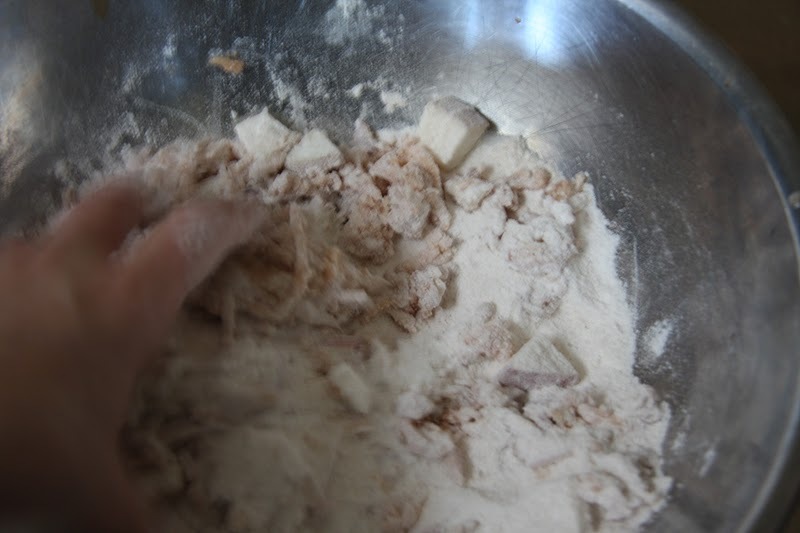 Get your dry mix at the ready; 1 1/2 cup flour, 1 tsp. cinnamon, 1/2 tsp. nutmeg, dash cloves, 1 tsp. 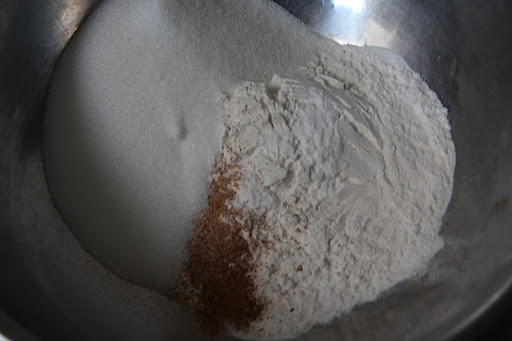 baking soda (it’s a dense cake) and 1 cup of sugar. 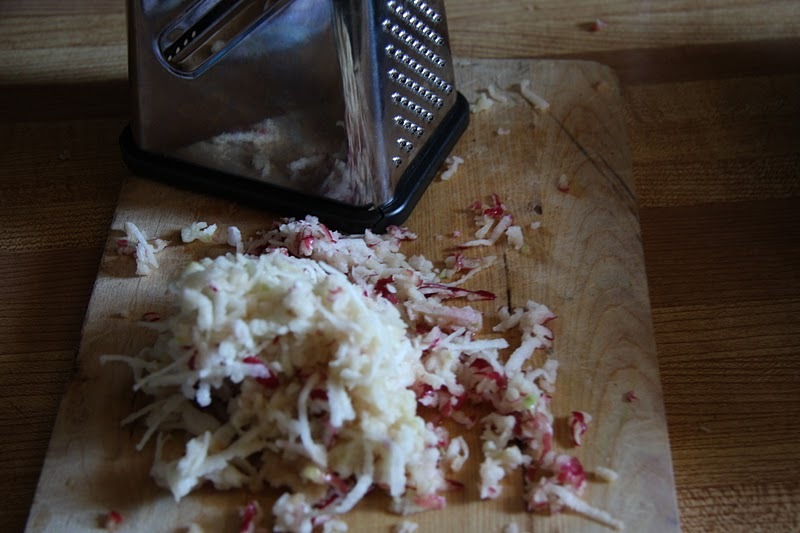 Add in 1 med grated apple (Mac’s are nice) and 1 chopped apple. I like to leave the skins on. Add 1 egg and 2/3 cup of olive oil. Don’t fret the batter is REALLY dense. Meanwhile get your bundt pan ready, or use a springform instead. Butter your pan line with 1/3 cup of brown sugar, sprinkled with cinnamon, given a layer of walnuts and then a layer of thinly sliced apples. Without disturbing this mix, scoop your batter on top. This is when you’re happy and not alarmed with such a dense batter. 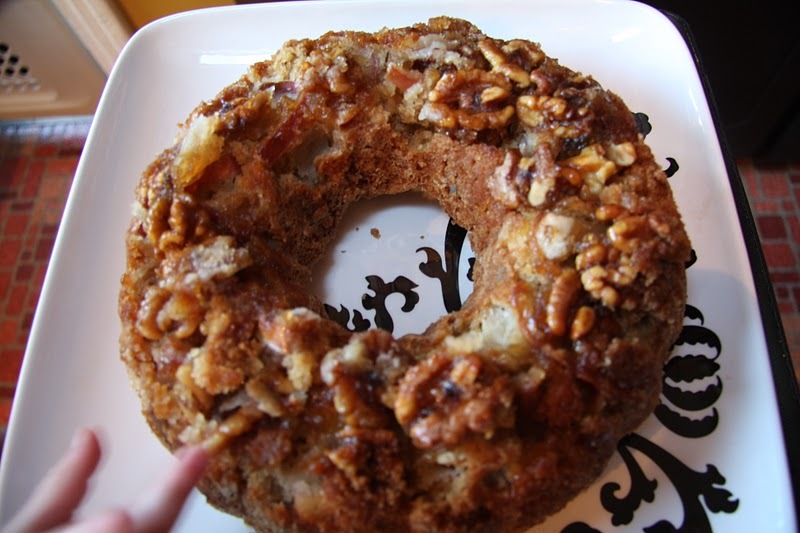 The apple, nut and brownsugar mixture melts while the cake is cooking and creates a yummy caramel without the work. Bake for 30 minutes at 330 degrees or until a knife comes out cleanly. Let sit for a couple of minutes and unmold onto a pretty plate. NOTE: if you let it cool completely in the pan the caramel will meld itself FOREVER onto the bottom of the pan. Not fun. And eat the caramel and nuts off the top while your mother is taking a picture. Thanks so much for the invite-I've already tried out my Pumpkin and Cream Cheese recipe. Can't wait to see what everyone else came up with too. 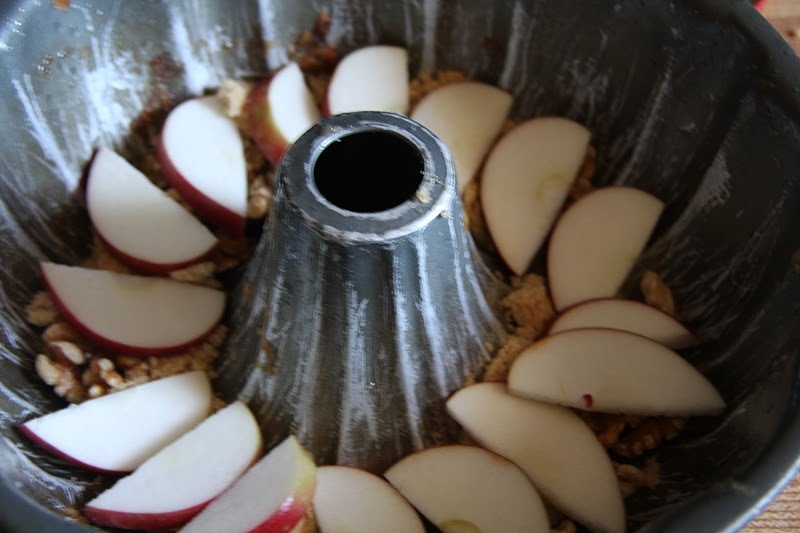 I love the idea of layering the apples inside… yum! Delicious! I've never made a cake with apples before! This is a perfect recipe for this month's challenge!